Whew.. I’m so glad that I have made the right decision for not buying Sony Playstation 3. The rumors have been floating around for the past few months about the PS3 price would cut down and the newer and slimer PS3 would be released soon. Finally, the rumors have become true. Sony will release the new model of PS3 in September. The price for previous model of PS3 will be lowered by $100. The news also reported that Sony introduced the PS3 Slim Tuesday at the GamesCom conference in Germany. The new model, scheduled for release in the first week of September, has the same features as the older versions, but takes up 33% less space and consumes 34% less power, according to Sony. It’ll be out in the first week of September (September 1 in North America and Europe, September 3 for Japan), and will retail for $300 (or 300 Euro, or 29,980 Yen). It’s smaller and lighter, has a 120GB HDD, and packs “all the same features” of the regular PS3. Audio output:LPCM 7.1ch, Dolby Digital, Dolby Digital Plus, Dolby TrueHD, DTS, DTS-HD, AAC. Categories: Technology Tags: Gadget, News, Technology	Leave a comment ? The new study is much more accurate than previous studies that estimated ice volume based on area. The team says a combination of recent global warming and anomalies in patterns of sea ice circulation are to blame for the melting sea ice. So.. please raise awareness of global warming!! Categories: Miscellaneous, Technology Tags: News, Technology	Leave a comment ? Sony has just announced that they are going to release a new line of Netbook, called Vaio W.
You know.. Sony always sells stuff higher price than others because they believed that their product quality is higher than others. the Vaio W packs in a higher-resolution screen at 1,366×768. There’s also 802.11n Wi-Fi, a separate Memory Stick slot (on top of the standard SD card slot), Bluetooth, and Sony’s typical fit and finish, which usually includes excellent keyboards and touchpads. The Vaio W is 1.3 inches thick, weighs 2.6 pounds, and will come in three colors–berry pink, sugar white, and cocoa brown. The system is available for pre-order from Sony starting Tuesday, and should be arriving in retail stores sometime next month. Categories: Technology Tags: Gadget, Technology	Leave a comment ? The first Walkman, the TPS-L2, cost ¥33,000 in Japan and US$200 in the U.S., but despite the relatively high price tag the reception was enthusiastic. 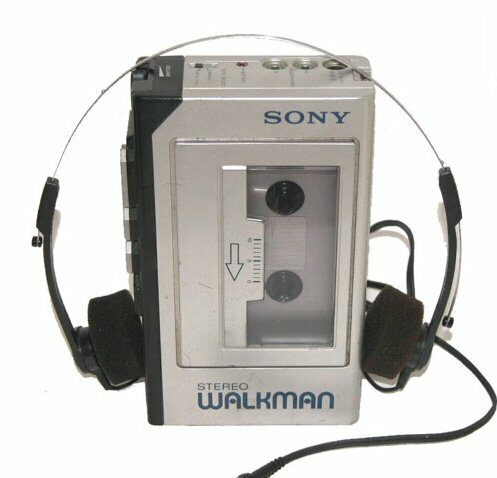 In 1980 The Wall Street Journal called the Walkman “one of the hottest new status symbols around” and noted that prospective U.S. owners faced a month-long wait because of a backlog in orders. Microsoft’s new strategy to boast up the sales is to offer 50% Windows 7 upgrade version. This is very very good deal! Many websites are participating in this promotion. You can pre-order from BestBuy.com or Amazon.com. It’s only $49.99 for home premium version and $99.99 for the professional premium version. The Windows 7 will be officially released on October 22. Categories: Technology Tags: News, Technology	Leave a comment ? The HTC Hero Android phone was officially announced At a press event in London on Wednesday as the latest Google Android device. The HTC Hero will be available in Europe starting in July and in Asia later this summer, while a “distinct” North American version will ship later in 2009. However, pricing was not announced at this time. According to the CNET, The new Sense UI allows users to customize the device to their needs and give them more access to the information they want at a glance through widgets, customized profiles, and consolidated views of all communication with a contact, whether it be e-mail, text or multimedia message, Facebook status updates, or photos. In addition, HTC said that all of its future devices will use Sense UI. Categories: Technology Tags: Cell phone, Gadget, Technology	Leave a comment ? I just noticed that the price of MacBook Pro has been reduced. The new MacBook Pro comes with more options to choose with lower prices and better battery life. This is awesome!! I always dream to get one of MacBook Pro, but the price is always ridiculously expensive. Now, it looks like more affordable. The 13″ MacBook Pro looks nice!! 7-hours battery life sounds so GREAT! For college students, Apple offers a free iPod Touch if you get a Mac too. What a deal! I’m so excited to see some company thinks forward and goes with AA batteries as power supply for a Netbook. This is so awesome!! Engadgetreported that this Netbook is even available to purchase from NorhTec ‘s Gecko EduBook for only $199. It runs Windows XP too. Categories: Technology Tags: Gadget, Netbook, Technology	Leave a comment ?